There are two distinct builds which we recommend for Shrimp experimentation. In classrooms and workshops and for most of our projects, we begin with the Minimal Shrimp Build build, which enables you to blink an LED and start programming simple experiments. It uses very few components and offers lower complexity when guiding a classroom of new learners. For real-world deployment, the Protected Shrimp Build provides more robustness. 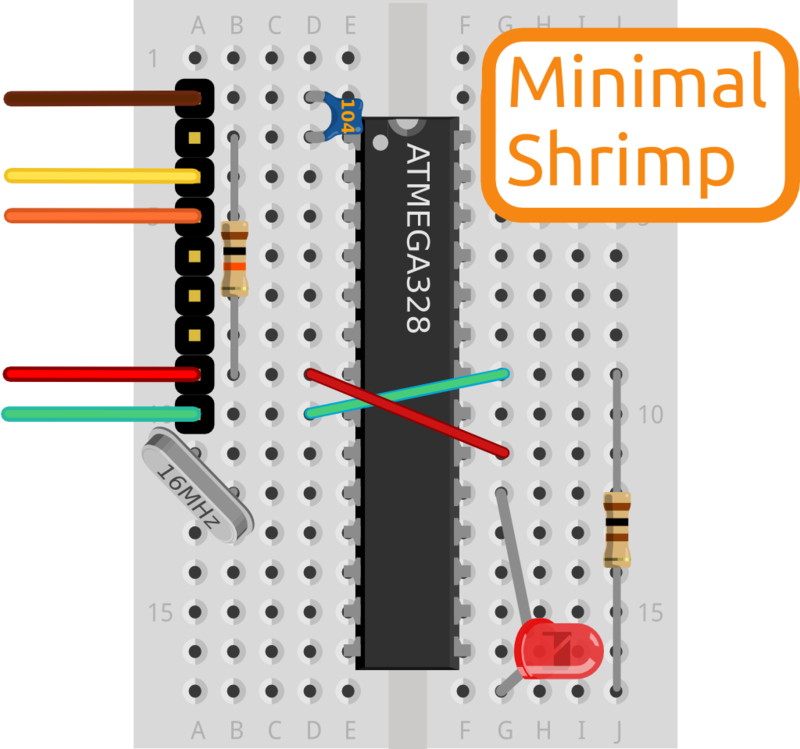 See this detailed comparison if you want to understand the difference between the Minimal Shrimp, the Protected Shrimp and an Arduino Uno.